A DECADE OF SUCCESS – TIME FLIES! Ten Years ago Simon signed his Contract with Oliver. 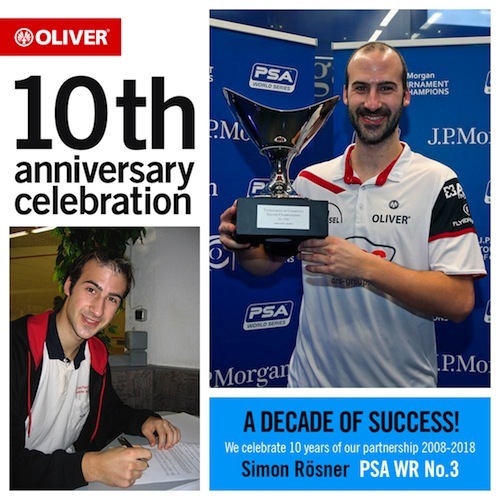 We are looking back today at a Fantastic successful decade of Squash with Simon and would like to say, in the name of all Squash Fans, a very big THANK YOU!! 10 Years ago this was maybe only a dream but now its reality. We will surely all have pleasure in the future with him. Chapeau Simon Rösner!